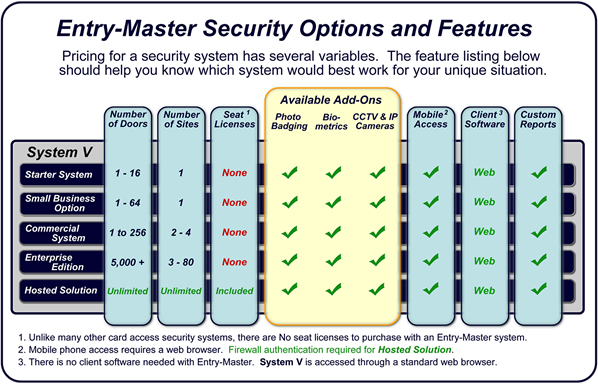 Watch the video below to see how quickly and easily you can review recorded video using the facility map in System V.
for an Entry-Master Security System in Colorado. Entry-Master has been providing card access and security solutions to both public and private educational institutions since 1988. These institutions include elementary and secondary schools as well as university campuses. 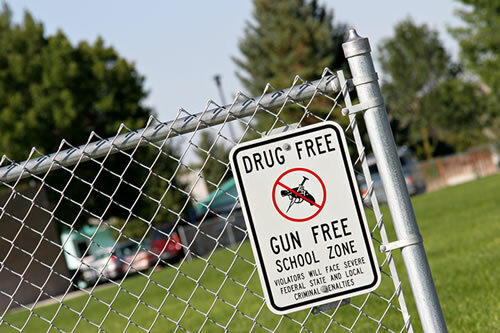 Johns Hopkins University is a world-class institution that has been utilizing Entry-Master to secure its campuses and provide a safe environment for its students and faculty for over 20 years. Our access control software can be customized for an entire integrated card access system in Denver with control cards and video surveillance (CCTV/DVR) - all in a Web-enabled environment. Your system can be accessed remotely with a cell phone or through a PC. Entry-Master card access systems can integrate with most industry standard hardware. Entry-Master Systems is located in Baltimore MD and services clients, large and small in the local area including Annapolis, Frederick, Columbia, Towson, Essex, Parkville, Timonium, Woodlawn, Owings Mill as well as Washington DC, Alexandria VA and the surrounding areas. In addition to the immediate service area, Entry-Master secures government and business facilities in Harrisburg PA, Boulder CO, Dallas TX, Richmond VA, Wilmington DE, Philadelphia PA, Atlanta GA, Orlando, Tampa and Miami FL and other locations around the USA.